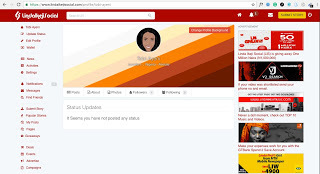 Linda Ikeji launched a Social Media Network that has to do with the combination of three social media, which are; Facebook, OLX and Linda Ikeji Blog. Having the three together, she gave them a general name which is Linda Ikeji Social. Interesting to see how she is trying to take on Facebook, and OLX which will arguably be a hit if she succeeds in it. Sometime in April this year, I went out somewhere and I met two ladies who approached me, they are big fans of the blog. While we were chatting, they told me that they only visited two websites. My blog and Facebook. 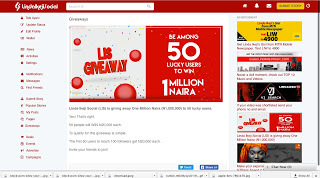 LIS being the acronym of Linda Ikeji Social, is a better platform where users engage themselves in "meeting or making new friends, there you will be the first to know when something happen, also have fun and get free awesome rewards." For you to become or join as one of the users in the community, then you are required to create an account or simply sign up using your Facebook account. 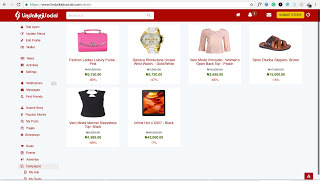 The platform has many considerable USPs but one of them talks about you making money via their website by selling authentic and original stories (You would be awarded N1,000 for each story you write). And through your pages — those with a large following (At least 50,000 followers) on Linda Ikeji Social would be awarded 25% of the ad revenue, and finally, Giveaways! How do you see it? Now, the cash you get out of the services above will be stored in your wallet, as the LIS was developed in such platfrom to function that way. You can as well buy and sell anything, no words on the cost that would be attached to this. Hard work really pays as they say and Linda Ikejis Social will be a success if she works more harder and smarter. Wish her good luck.